Tri-Axial Accelerometers are high level output transducers that provide three outputs, simultaneously measuring acceleration along the X-, Y- and Z-axes. The transducers can be used on any part of the body or attached to external equipment. The pliable and unobtrusive design conforms readily to body contours. TSD109C2 (±5 G) is optimal for measuring accelerations when performing slow movements, such as walking and hand tremor. TSD109J (±200 G) is more suitable for quick movements, such as swinging a tennis racket. BIOPAC offers tri-axial accelerometers available in ±5 G and ±200 G ranges. 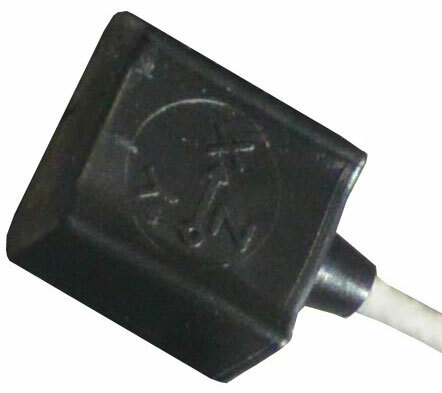 These accelerometers are used with the BIOPAC HLT100C module, which makes a high-level transducer connection and provides power to the transducer when making a connection. When used in conjunction with AcqKnowledge software, an MP data analysis and acquisition hardware platform, and the HLT100C module, these transducers permit detailed, three axis, accelerometry measures over a wide range of test conditions.